Behind its religious facade, the Mormon Church is a giant corporate conglomerate worth some 20 to 40 billion dollars. It is one of the biggest institutional landowners in the US, operates the largest cattle ranch in America, and is the biggest producer of olive oil in Chile, to name just a few examples. It has lobbying operations at the United Nations and the European Union, and doesn’t shy away from cozying up to dictators and tyrants to further its corpoate goals under the guise of religion. 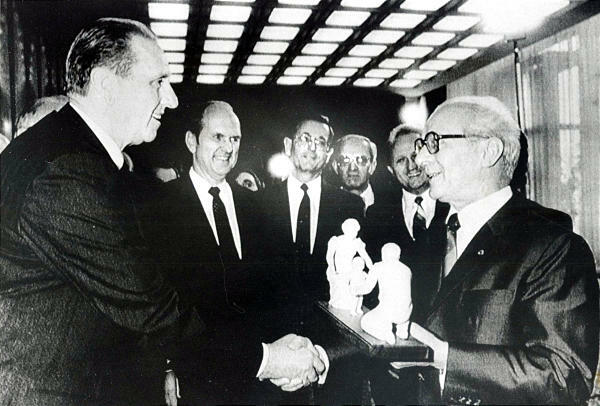 exchange gifts with East German Communist dictator Erich Honecker. To the extent that the adherents of Mormonism are aware of this, they tend to be proud of it and see their Church’s vast holdings as a sign of divine approval. They gladly pay ten percent of their income and donate hundreds of hours of labor each year in the firm conviction that this massive accumulation of worldly possessions actually serves a religious purpose. Underlying this conviction are a number of myths which the Church’s leaders relentlessly sustain through incessant lessons, articles and sermons on the importance of donating time and money to the Church, even at the expense of providing for one’s family first. This is true for the many thousands of volunteers doing the grunt work but the Mormon Church’s top officials, a group of roughly one hundred insiders known as General Authorities, are all paid around $120,000 a year for their services, which consist of a four-day work week and a month’s paid vacation at an Hawaiian resort maintained by the Church for this purpose. 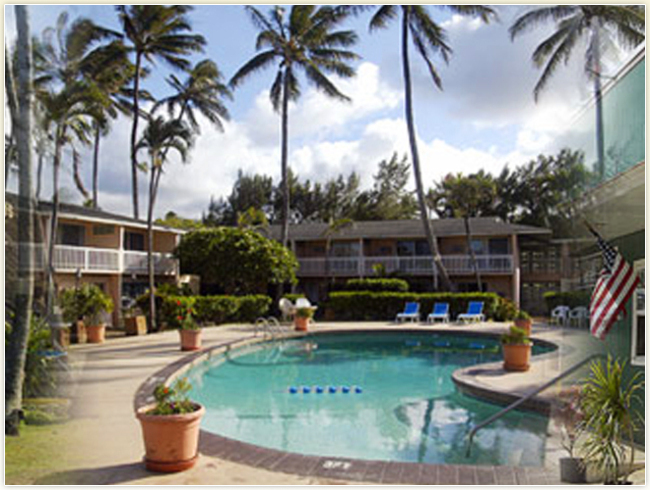 The old Laie Inn, a peaceful place for weary Mormon Church leaders to rest their head after a long year of working four grueling days a week. The Inn was replaced with a multi-million dollar resort when it became too worn down for humble servants of Christ to vacation in. There are perks for aspiring General Authorities as well. The living expenses for which a Mission President can get reimbursed, for instance, easily add up to $100,000 a year. Mission Presidents are instructed in the fine art of double bookkeeping to hide this income from the local tax authorities and the general membership. In the mean time, ordinary missionaries pay hundreds of dollars each month for the privilege to serve, an amount that can run into the thousands per month for senior missionaries (elderly couples). Mormons like to pretend that their Church does not receive government subsidies but they forget that, like other churches, theirs is tax-exempt, costing society $70 to 80 billion a year in the US alone (for all religions). In England, where the Church has large agricultural holdings, it receives subsidies from the European Union. To get tax exemption in Italy, the Church hired a Washington, D.C., lobbyist, after which they could build a temple near Rome tax-free. 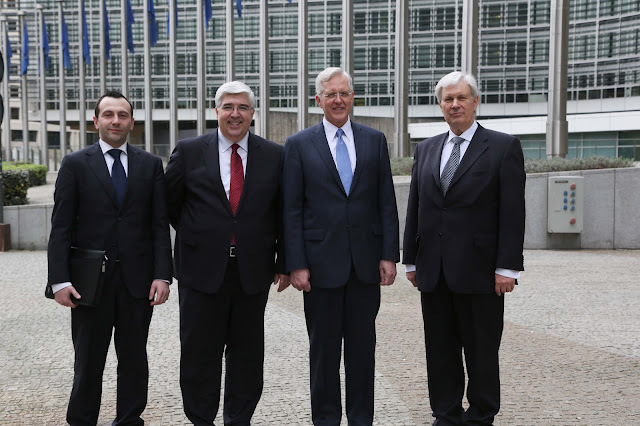 Francesco Di Lillo, head of the EU office of the Mormon Church, Elder José Teixeira, President of the Europe Area, Elder Todd Christofferson, Apostle, and Frerich Görts, EU representative of the Church. Elder Teixeira has since been transferred to South America for failing oversight in a case of misappropriation of Church funds to the tune of $300,000. There is not a single Mormon soup kitchen or homeless shelter in the world. Less than 2% of the Church’s annual tithing revenue goes to charity, orders of magnitude less than most other US churches manage. Nevertheless, the Mormon Church likes to publicize its humanitarian efforts which, on closer inspection, mostly consist of volunteer labor by members on the Church’s for-profit business interests. 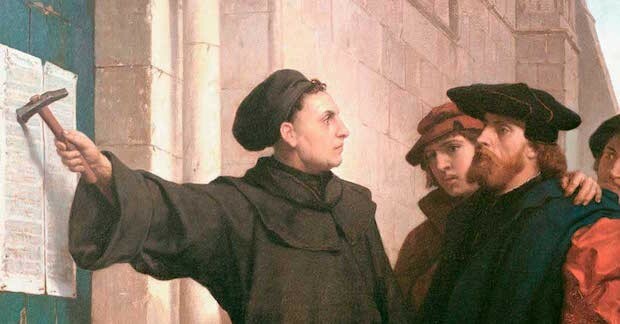 One of Martin Luther’s complaints against the Catholic Church was that they “sold” salvation by means of indulgences. The Mormon Church does something similar. Paying tithing is one of the conditions for Mormon baptism. The same holds true for access to the temple rituals which, in Mormon theology, are essential for getting into Mormon heaven. This “pay to play” principle extends somewhat to acquiring leadership positions in the Mormon Church. When a new stake president is needed, the visiting General Authority will do two things: ask for recommendations from local Church leaders, and look at the tithing records of that stake. Then, by a process believed to be inspiration from God, a successful business man, corporate executive or medical professional most often turns out to be the best man for the job. 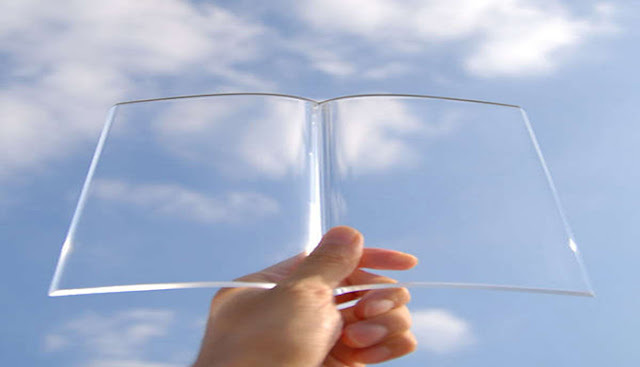 The total lack of financial transparency and accountability is often justified by suggesting that the Church’s top leaders are directly accountable to God. At the same time, Mormon doctrine holds that only the Church’s top leaders are authorized to speak on behalf of God in matters concerning the Church as a whole. In theory as well as in practice then, there is no meaningful oversight or accountability. This situation is reinforced by teaching the general membership that the Church’s leaders are infallible and cannot lead the members astray, as God would not allow that. But how is an ordinary member to know if only the Church’s leaders convey God’s will, and Mormons are also taught never to criticize their leaders, even if they feel that criticism would be justified?